Ancient Roman costumed groups of people parade in the ancient areas of Colosseum , Circus Maximus and the Roman Forum to celebrate the festivities of Christmas of Rome on April 22, 2012 in Rome, Italy. Legend says that Rome was founded by Romulus in 753 BC in an area surrounded by seven hills. 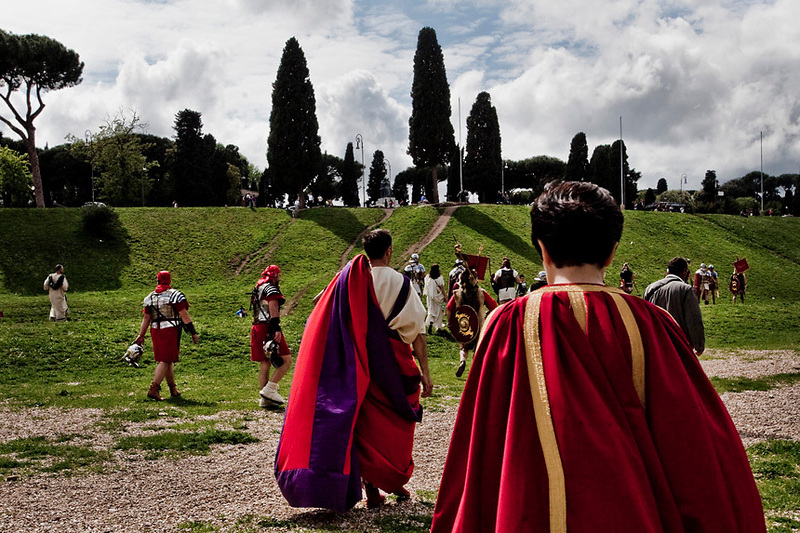 Every year the city celebrates the Birth of Rome with parades and fighting in costume, re-enacting the deeds of the great ancient Roman Empire.